The ‘old school’ Big Air action continues to delight crowds with it’s ‘wow’ factor! 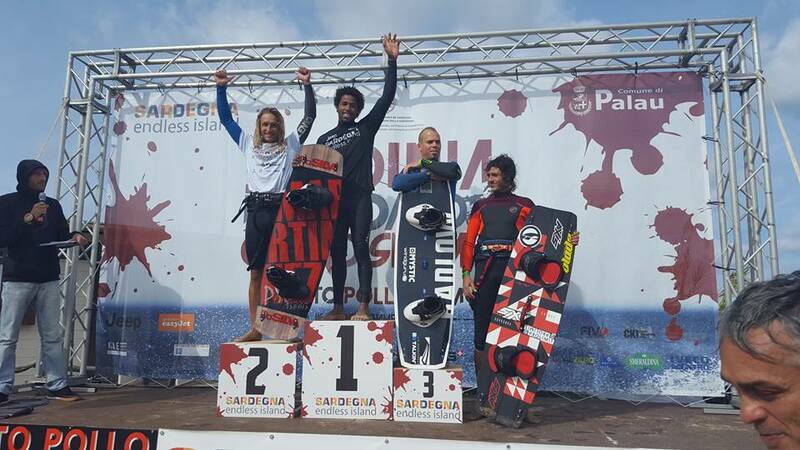 Day 4 of the Sardinia Grand Slam brought another verdict to the Kiteboard enthusiasts around the world. 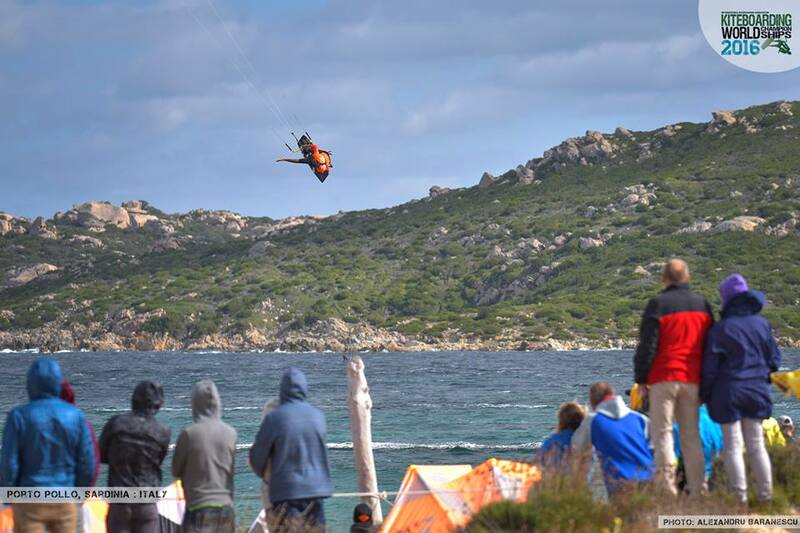 After the conclusion of the Big Air Main Events, with the successes of the Dominican Martinez and the Slovak Magaji, the wind also brought along the top four positions for the Freestyle. 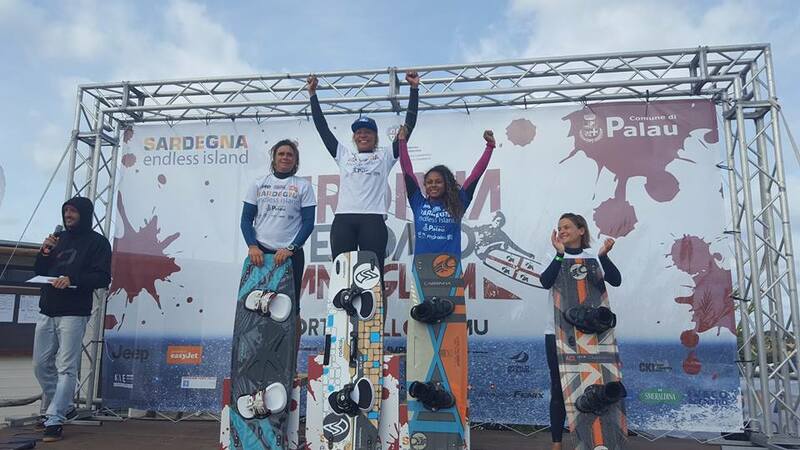 Among the women it was a success for the Brazilian Rosa over the Big Air champion Magaji. The final for the third and fourth place was entirely Italian and Tomasoni got slightly ahead of Piccioni gaining this way an excellent third place. The battle was on fire in the two Men’s Freestyle finals. In the one for the gold the Italian champion Gianmaria Coccoluto tried right to the end, leaving the first place to the Briton Tom Bridge only by the end of the heat (32.79 vs 31.44 the final result). Heroic end for Andrea Vicari too. After winning over the #8 world rank Posito Martinez at the quarter finals, he then surrendered to Gianmaria Coccoluto in an entirely Italian and awesome semi-final. 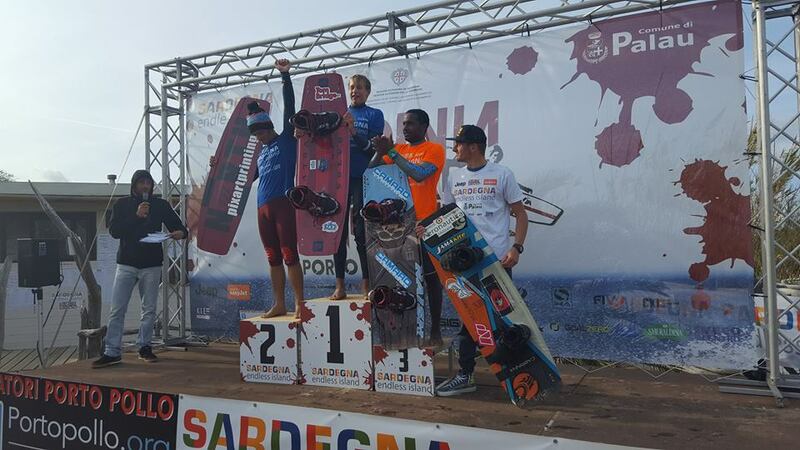 In his struggle for the third step of the podium he got only 0.80 points short to beat the Dominican Corniel. Tom Bridge just made it to the top of the Men’s Freestyle podium, staving of some fierce competition. Tomorrow the finals for the fifth to the twelveth place will conclude the Freestyle Main Event. Only once the complete results are out it will be possible to update the international ranking and award the title of World Kite Champion! 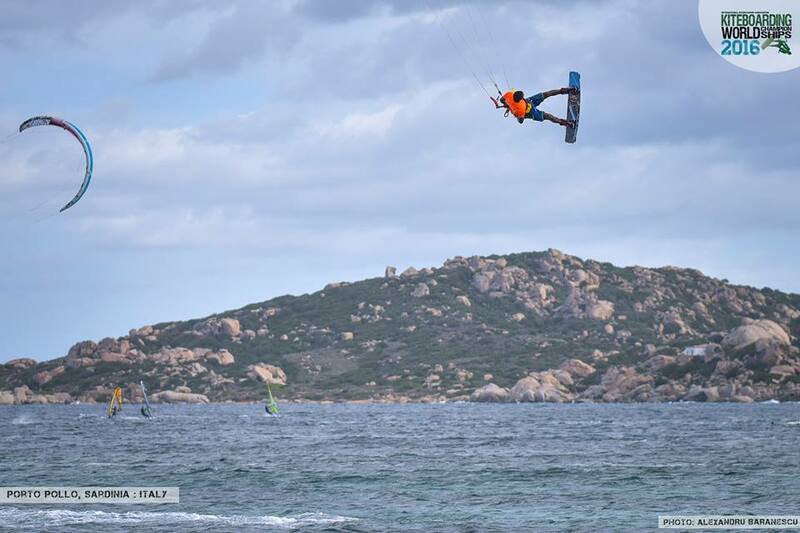 Check out for more information tomorrow, Day 5, of the Sardinia Grand Slam 2016! The award ceremony is scheduled for Saturday 22nd October. Riders’ meeting is tomorrow at 10 am and as soon as the wind permits it everyone will get in the water for the fifth day of the Sardinia Grand Slam.